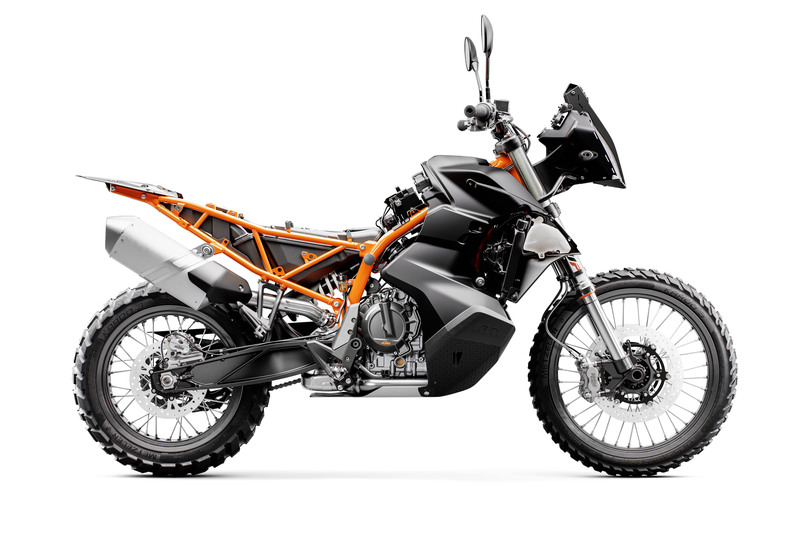 Is this the middleweight adventure bike we've been waiting for? 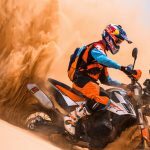 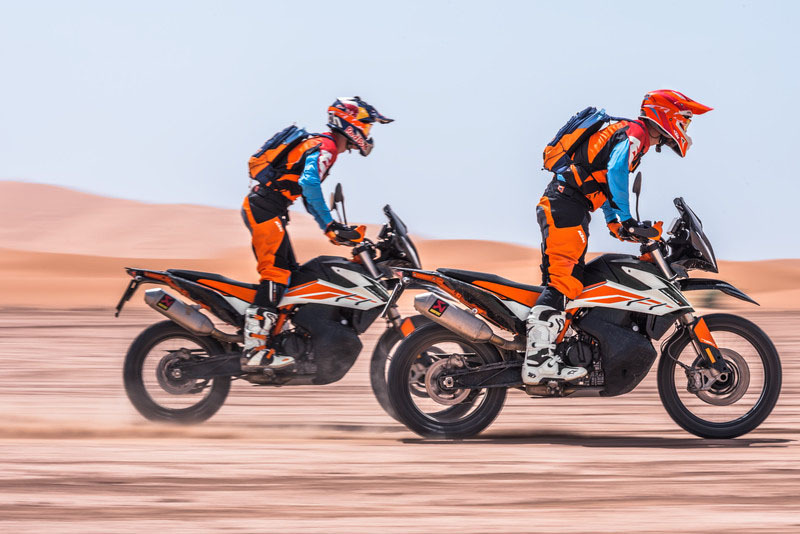 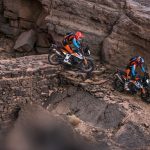 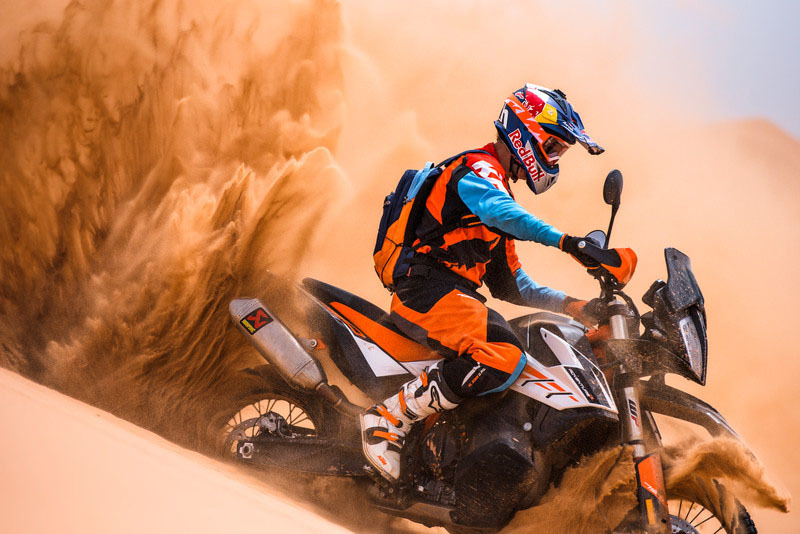 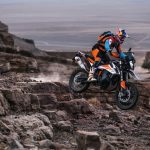 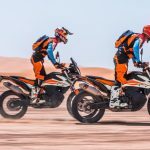 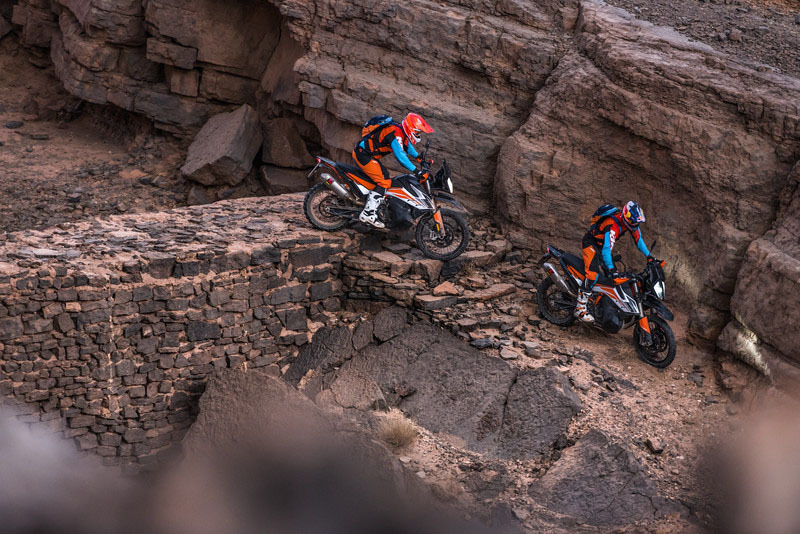 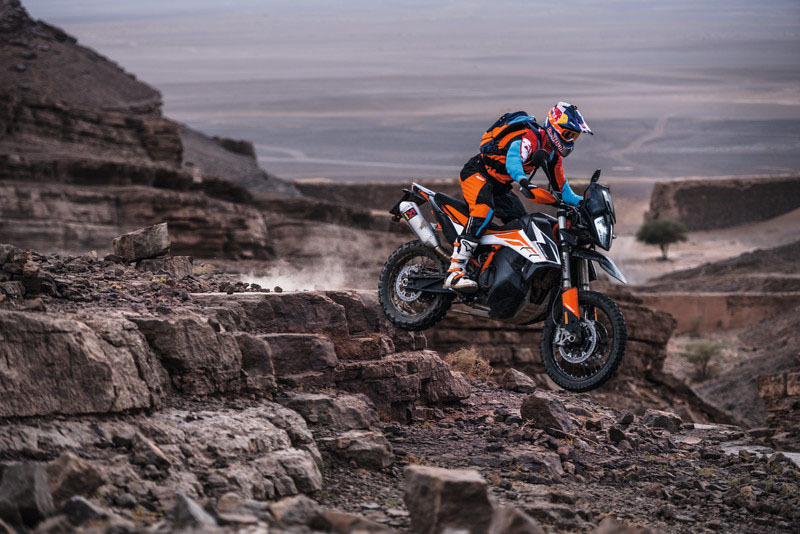 After having Chris Birch showing off a prototype a few months ago, KTM is finally ready to show of the 790 Adventure and 790 Adventure R, confirming both models will arrive in U.S. showrooms in Spring 2019. 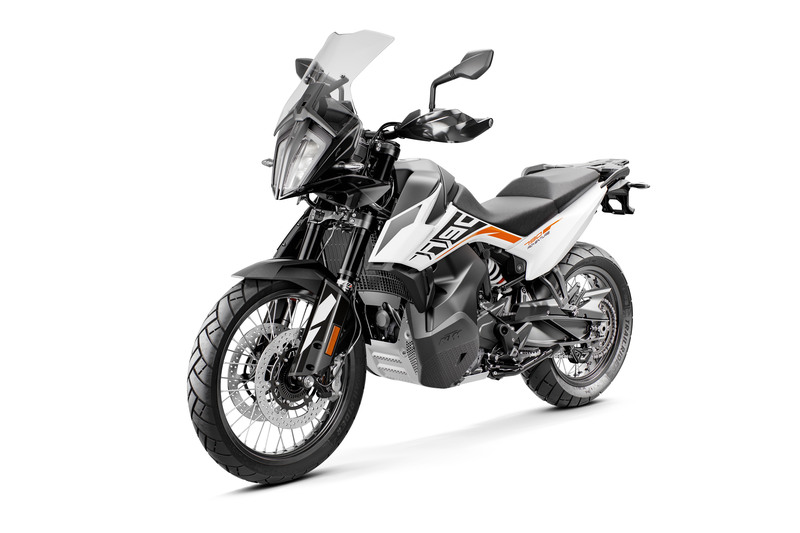 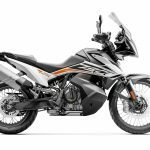 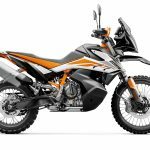 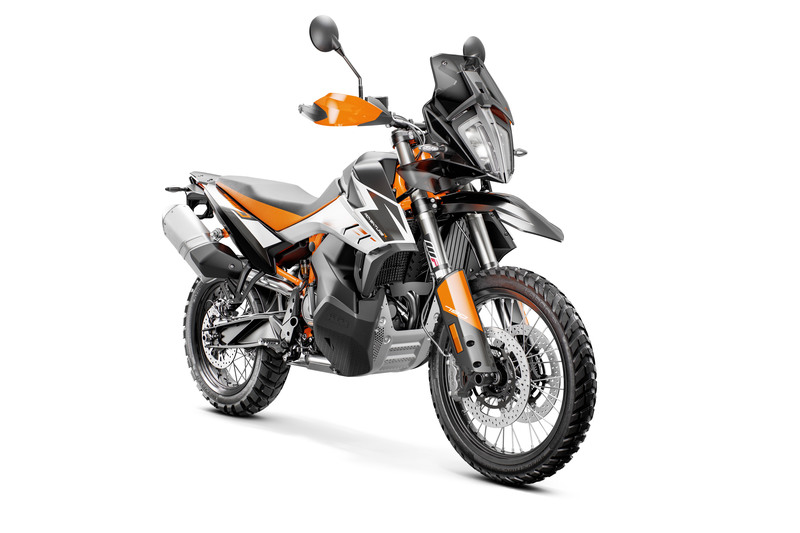 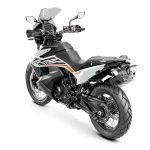 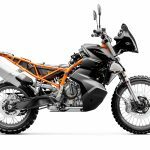 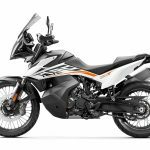 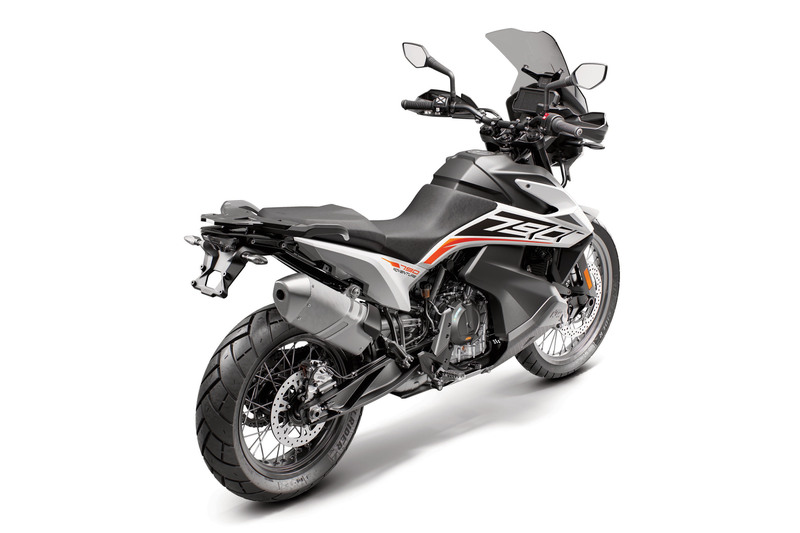 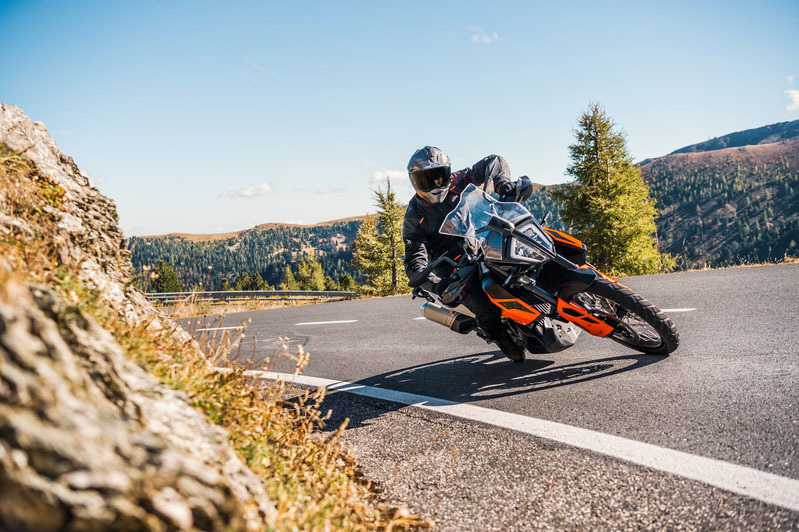 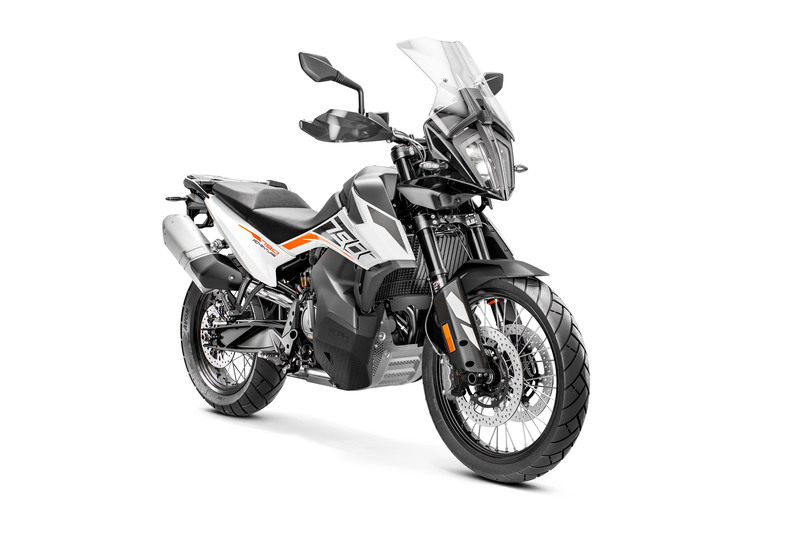 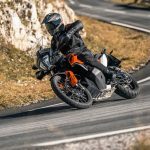 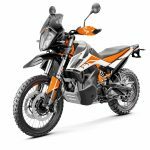 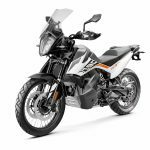 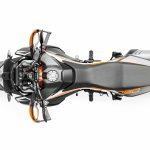 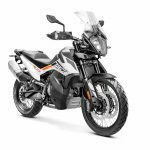 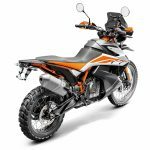 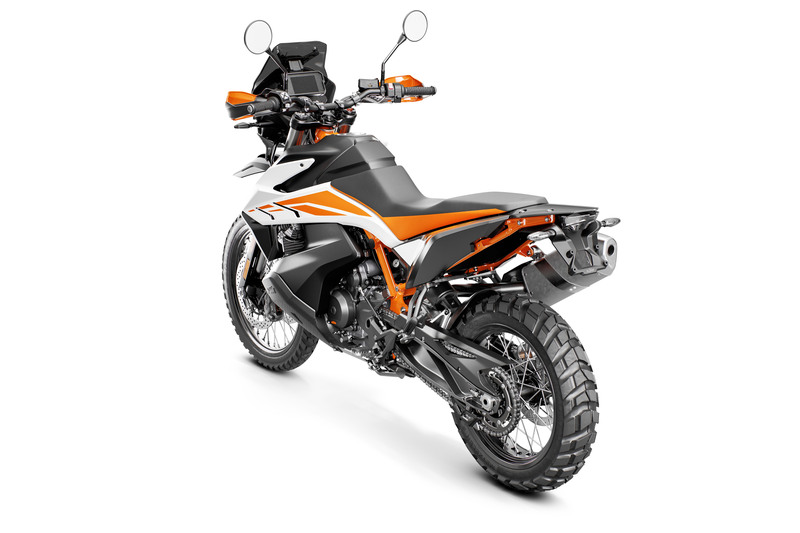 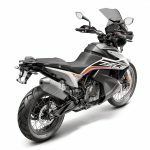 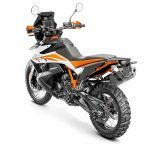 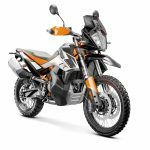 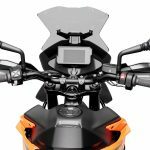 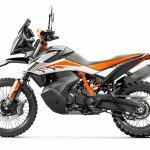 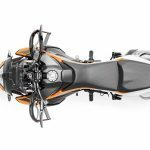 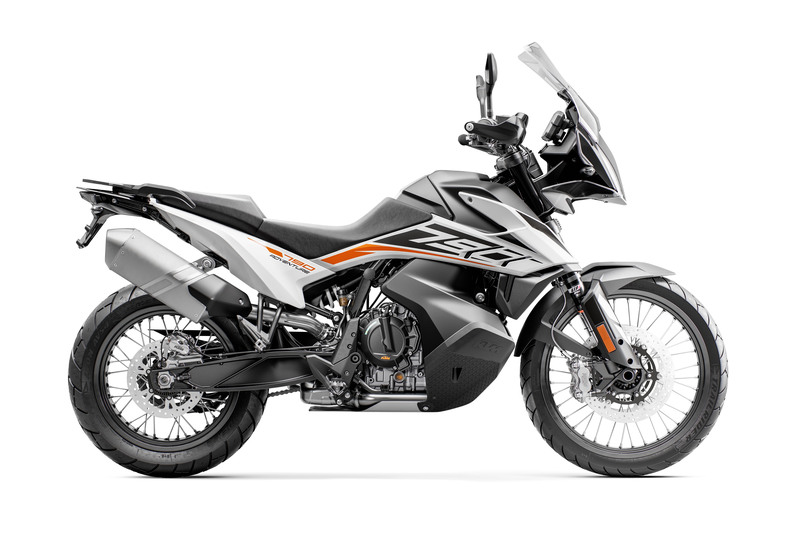 The 2019 KTM 790 Adventure and 790 Adventure R fill the mid-capacity gap in the Austrian manufacturer’s adventure-touring lineup. 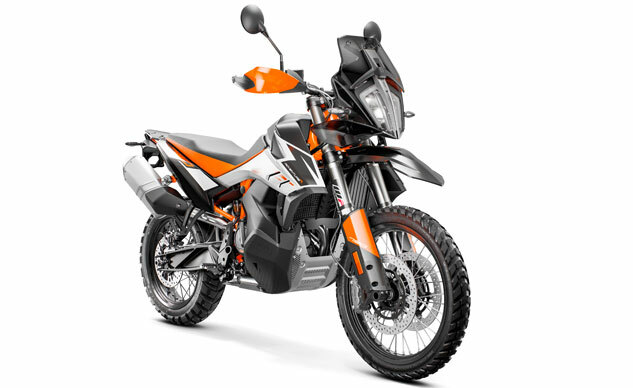 The R model (pictured above) is the more off-road focused of the two, with a motocross-style beak fender, enduro suspension and knobbier tires. 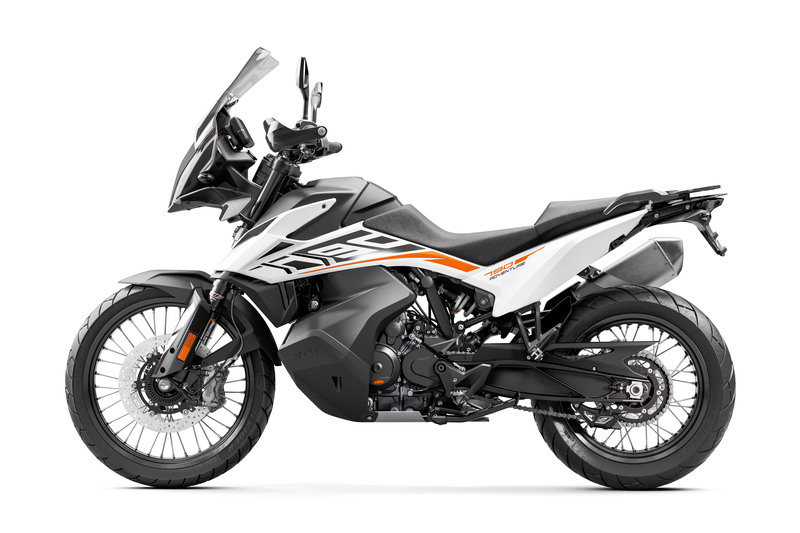 The base model (below) is more touring oriented, with a taller windscreen and a height-adjustable two-piece seat. 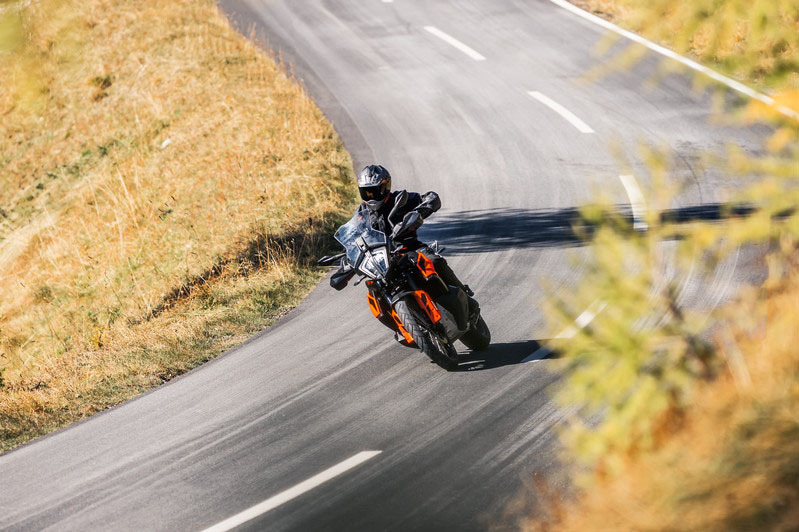 The engine the same 799cc LC8c parallel-Twin first introduced on the 790 Duke, with fuel-injection, dual balancer shafts and a power-assisted slipper clutch. 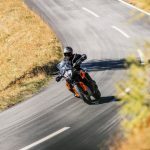 KTM did not provide any performance figures, but we know the 790 Duke claims 96.2 hp at 9000 rpm and 59.9 lb-ft at 6600 rpm. 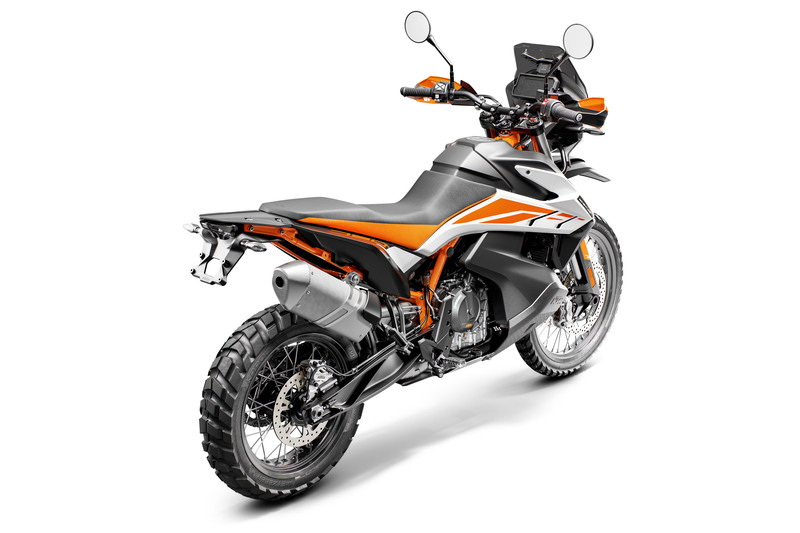 The 790 Adventure offers three ride modes: Street, Offroad and Rain, with an optional Rally mode (standard on the R version). 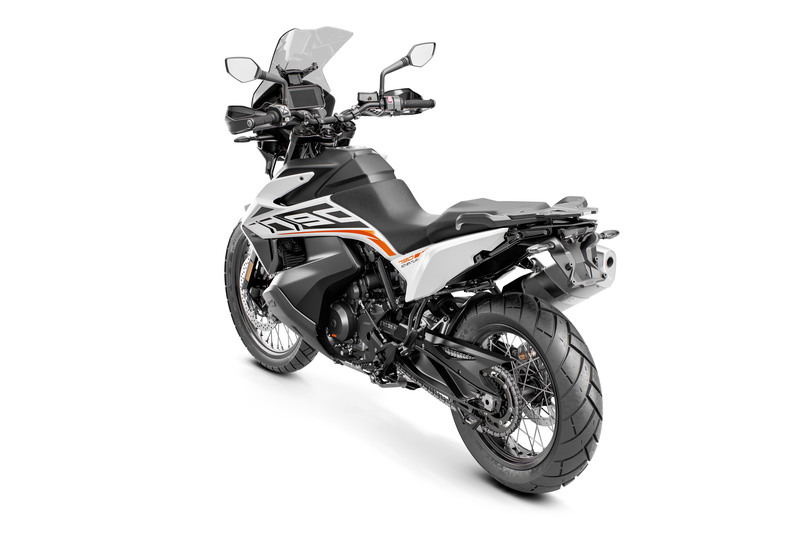 Cornering and off-road ABS, traction control and slip regulation are also standard. 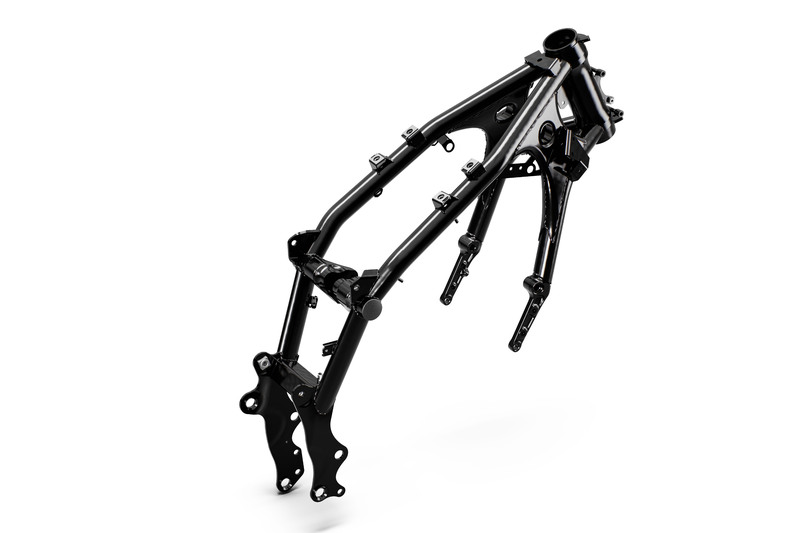 A quickshifter is available as an option. 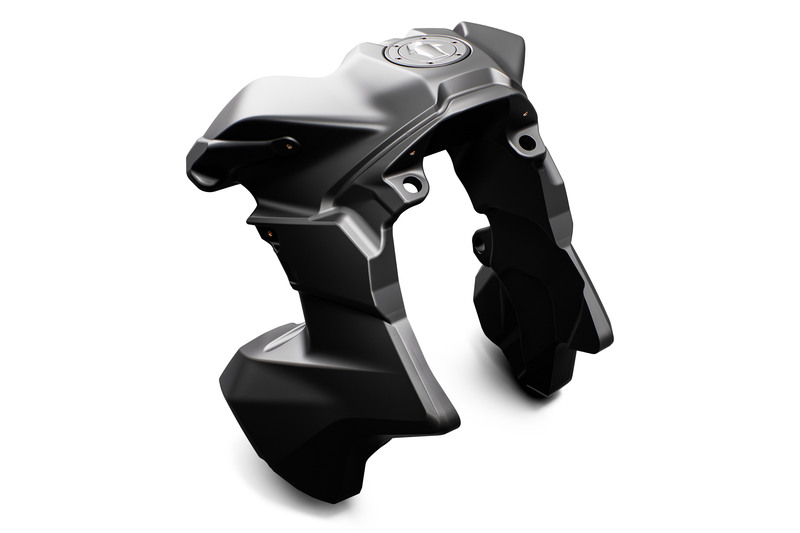 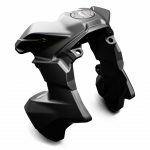 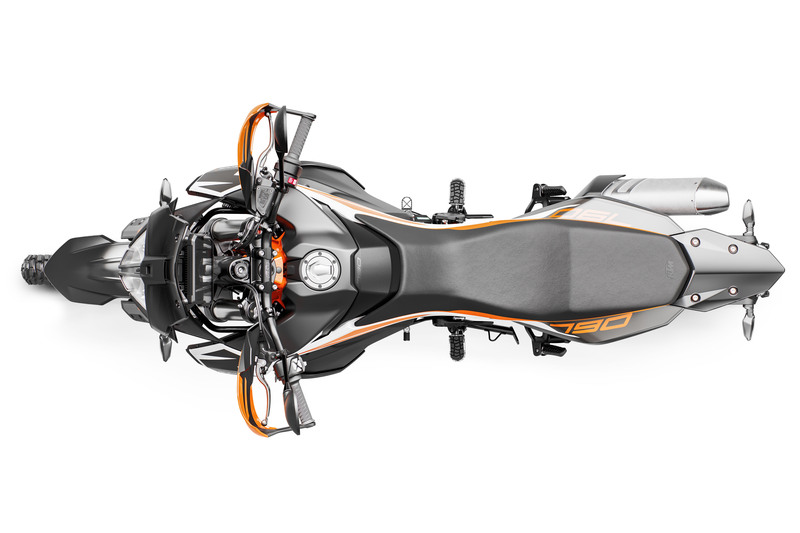 KTM designed a saddle-shaped fuel tank that stretches down in front of the rider’s legs. This helps lower the center of gravity while also allowing more room for the rider to shift around on the seat. 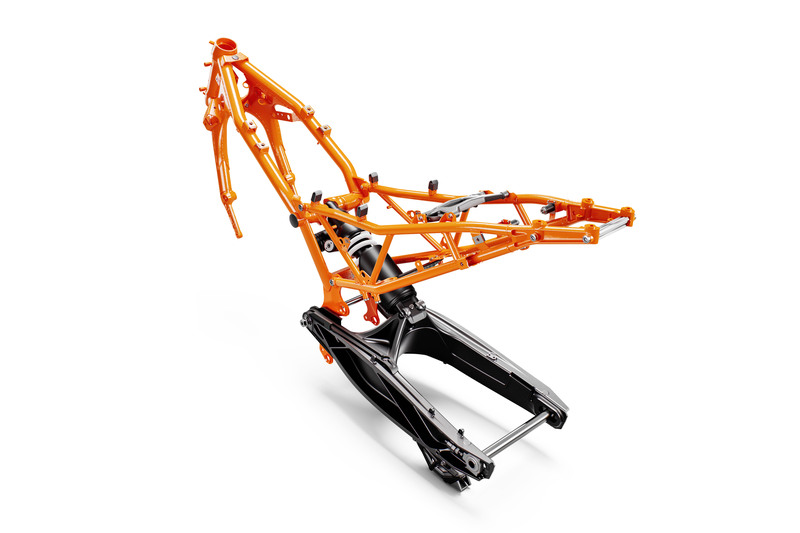 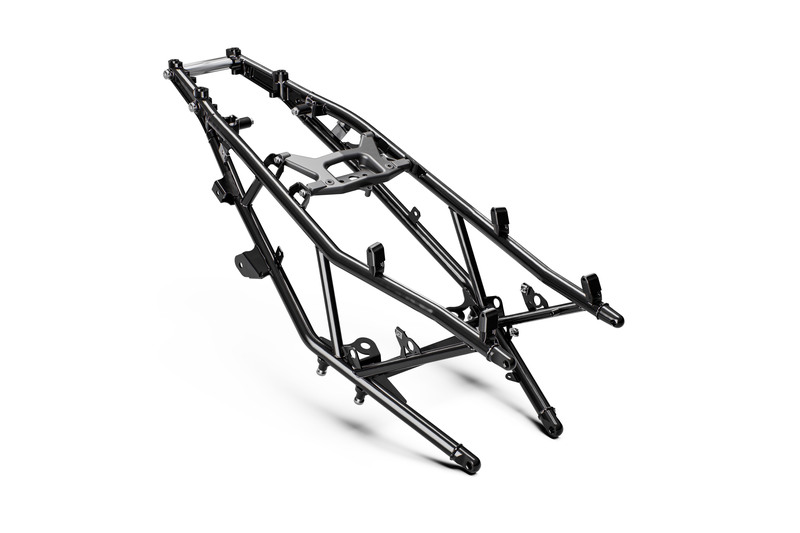 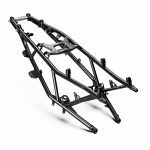 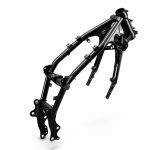 The chassis consists of a tubular chromium molybdenum steel frame that uses the engine as a stressed member. 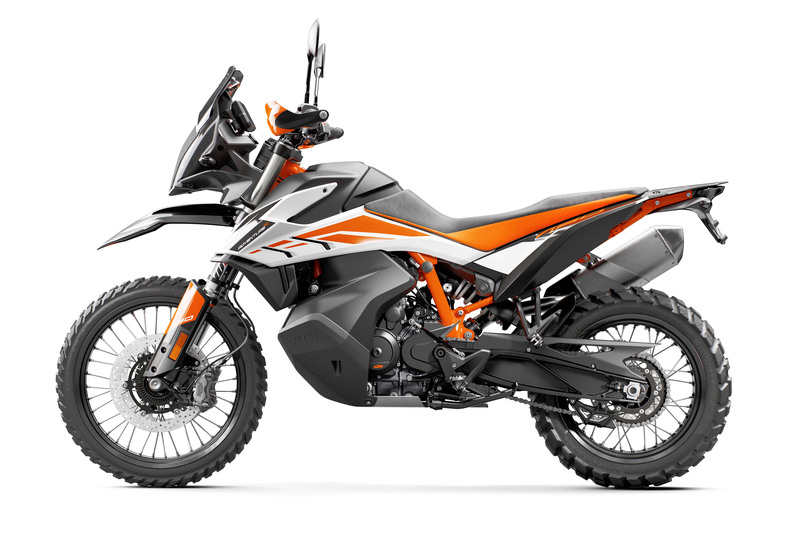 The 790 Adventure uses a 43mm APEX open-cartridge fork and an APEX rear shock with adjustable preload, both from WP. 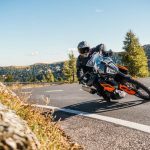 The 790 Adventure R gets a beefier WP XPLOR 48mm fork and a matching XPLOR rear shock that offers progressive damping without the added weight or complexity of a linkage system. 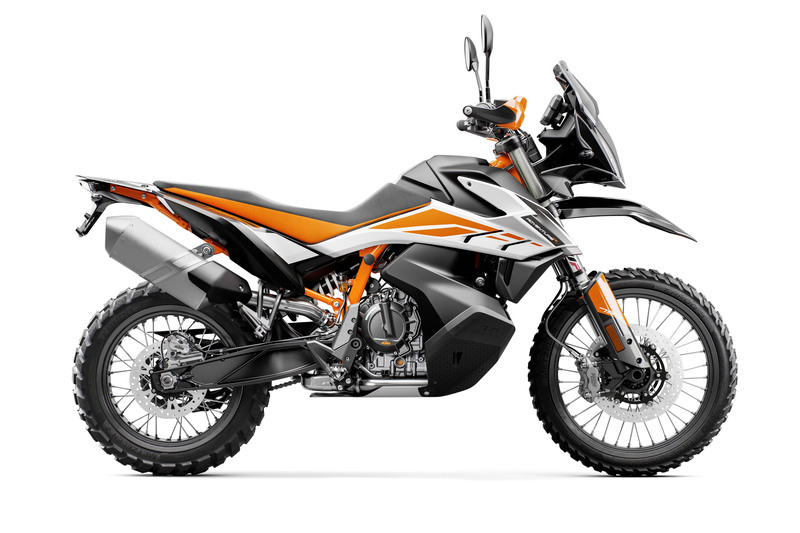 The longer suspension also gives the Adventure R a 34.6-inch seat height whereas the regular 790 Adventure’s seat is adjustable from 32.7 to 33.5 inches. Dual 320mm front brake discs are paired to four-piston radially-mounted calipers. 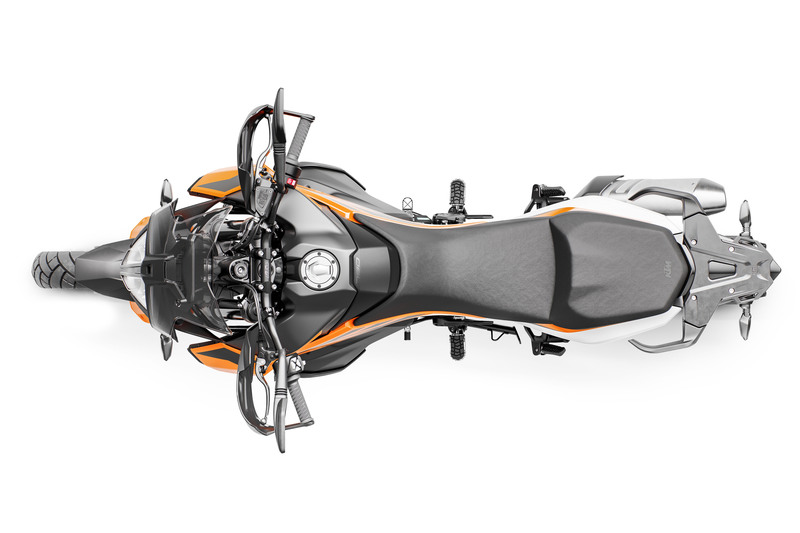 A single 260mm disc with a two-piston caliper is matched to the rear wheel. 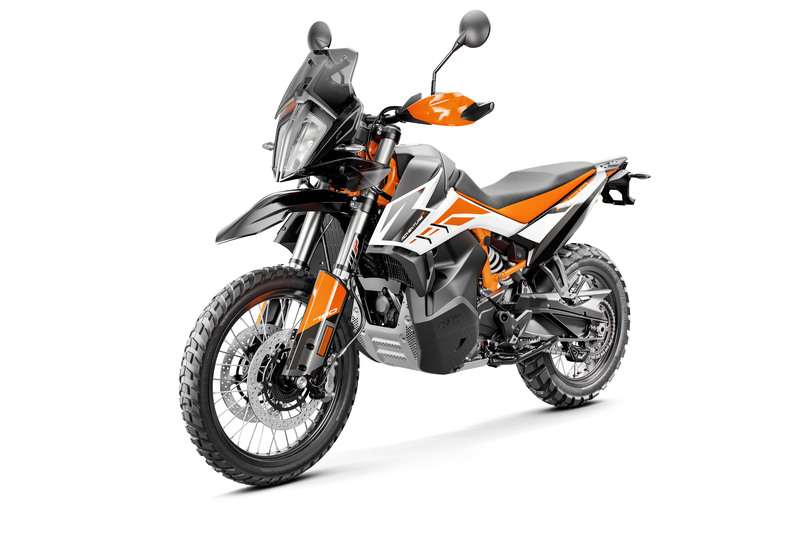 Other standard features include an LED headlight, an LED taillight, multi-functional TFT display, adjustable aluminum handlebar and steering damper. 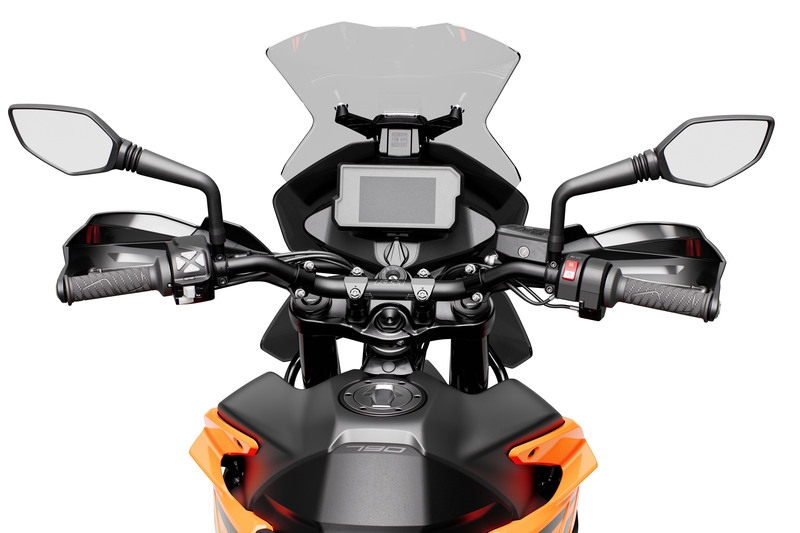 Heated grips, a heated seat and cruise control are optional.